Get a set of Free ♥straw lid + 2 x straws + 2 x straw brushes♥ via clicking the "Special offers for this item" under the "SHARE" button, and then clicking "Add both to Cart" (for mobile buyers). 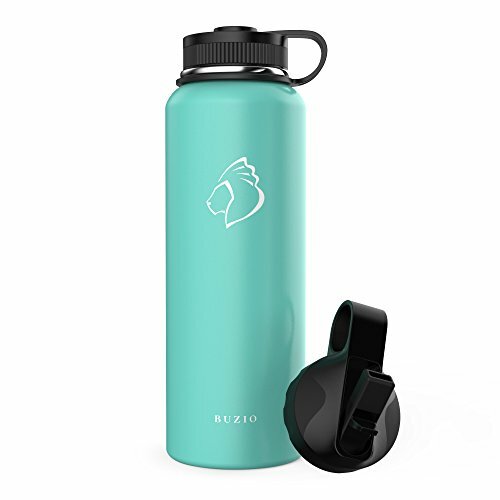 The PC buyers can get the free item through "Special offers and product promotions"
This is BUZIO iFlask Water Bottle. It looks in all ways as cool as it is. Now we've re-innovated that popular insulation technology, adding a unique temperature retaining coat between the double-wall stainless steels to make it even better for keeping temperature of your drinks. And we call this BUZIO insulation innovation - TempArmour. All iFlasks are made with 18/8 professional food-grade stainless steel and BPA-free recyclable PP#5 plastics - both famous for their durable and non-toxic features. Specifically, the 18/8 stainless steel keeps your favorite drinks fresh and pure, without any leftover flavors or odors. If you have any questions about this product by BUZIO, contact us by completing and submitting the form below. If you are looking for a specif part number, please include it with your message.